Synergy Fitness is proud of its long development association since the early 1990’s with NeuroPhysics Functional Performance Training and Rehabilitation. 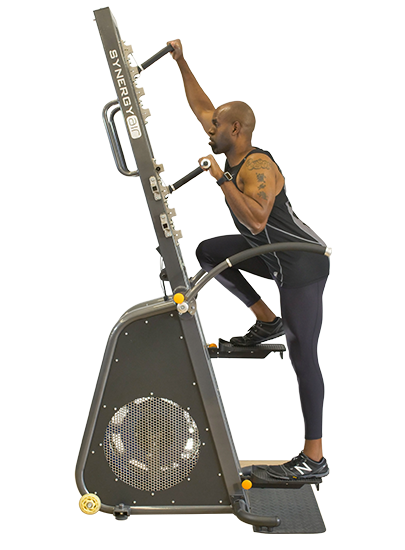 Synergy Fitness has benefited enormously from NeuroPhysics and its founder Ken Ware, as the key driving force behind many of our revolutionary design concepts. 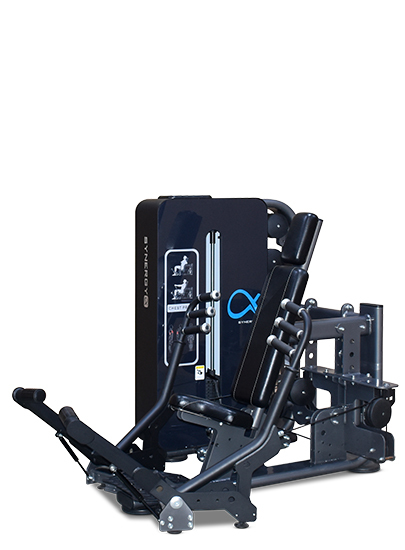 These include our world first unilateral converging/diverging compound upper body machines and our Seated Leg Curl (all developed in 1992), as well as our recently patented ‘Bilateral Stability Control’ technology. NeuroPhysics Functional Performance Training and Rehabilitation (NPTR) is a scientifically based and clinically proven method, which has broad applications across many aspects of rehabilitation and performance. 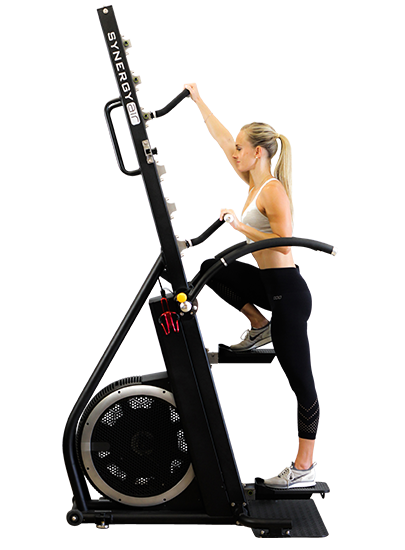 In simple terms, NPTR is a unique exercise-based program, which activates the nervous system in such a way that stimulates the body to re-organize itself and return to optimal function – often in remarkable timescales. Twenty-five years in the making, NPTR has literally helped thousands of clients ranging from spinal cord injuries and chronic pain sufferers to athletes and those seeking to improve their physical and emotional well being. Its processes are revolutionary and its outcomes are quite extraordinary. Neurophysics YouTube channel with various video clips of clients undergoing neurophysics therapy. Article about one of Ken Wares™ early neurophysics clients (psychologist Katrina Robertson) who went on to become the worlds™ strongest woman. A ‘bottom up’ approach to training and rehabilitation, NeuroPhysics Functional Performance Training and Rehabilitation (NPTR) uses the Ware K Health Trigger Process to engage and access the nervous system. NPTR is based around the understanding that the human body is a Complex Adaptive System* and that the various systems of the body – including the nervous, hormonal and musculoskeletal systems – interact closely. Dysfunction in any one of these ‘sub-systems’ is a reflection of unsynchronized interactions of the finely tuned positive and negative feedback loops within the system as a whole. Ken has lectured extensively on this process at renowned academic institutions such as John Hopkins and Harvard Universities, and his work has been peer-reviewed and published in International journals such as Frontiers in Science. 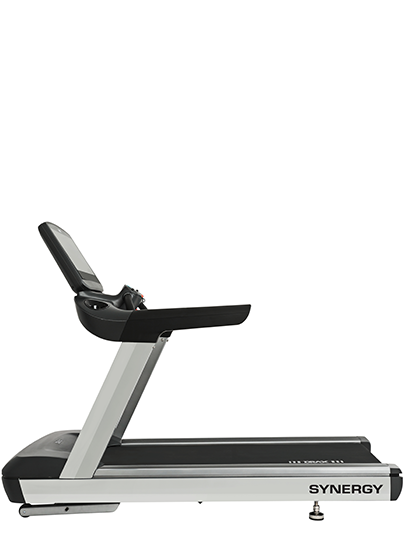 Using the Synergy Fitness equipment we are able to detect and correct imbalances, which are a signature of how an individual interacts, physically and emotionally, with their environment.By upgrading the landscape in which our pain and disorders exist, we improve the way our system responds to its environment thus allowing us to better process information to a point where pre-existing pain and disorders cannot continue to survive.